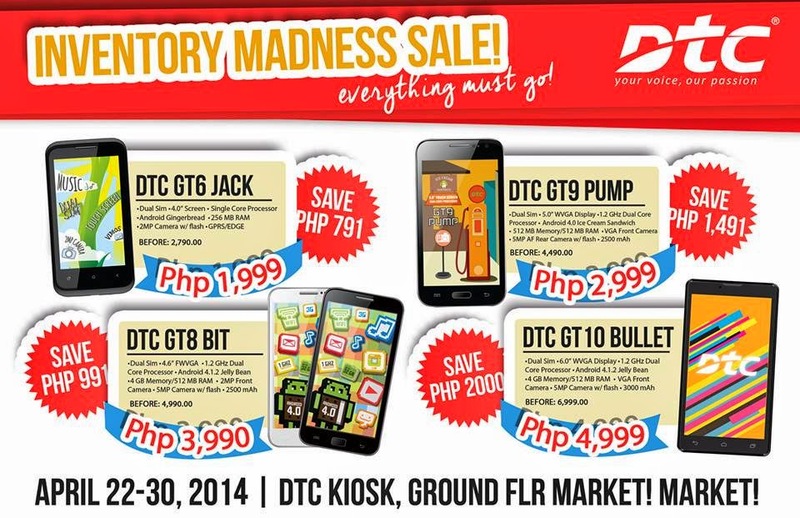 Home DTC Mobile Tech News DTC holds Inventory Madness Sale! Local mobile brand, DTC offering up to 30% discounts on their selected Smartphones. This is part of the fourth wave series of Inventory Madness Sale. The promo runs for 9 days only at DTC kiosks in Market! Market!, Taguig City from April 22 to 30.